There are a number of actions that need to be carried out within ACT! 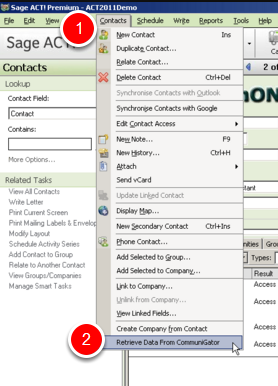 in order to send an audience group to CommuniGator and retrieve campaign history back into ACT!. Where is your group stored? 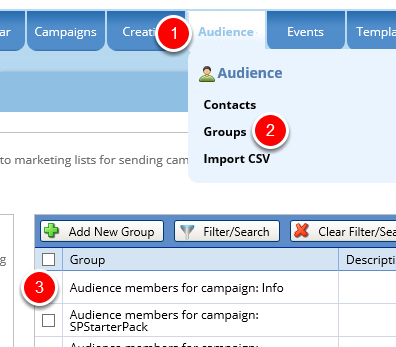 Your group is now visible within 'Audience' - 'Groups'. This can now be connected to your campaign within CommuniGator. In order to return campaign history and unsubscribe data back to ACT! 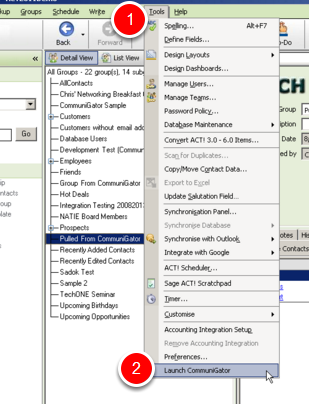 go to 'Contacts' and select 'Retrieve Data From CommuniGator'. 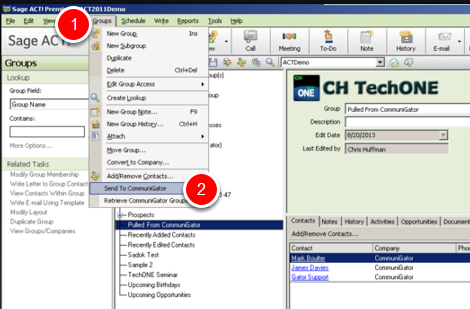 Activity within campaigns is returned to the 'History' tab within a contact record.